What is the Elite Ice Hockey League and Which Teams are involved? The Elite Ice Hockey League was formed in 2003 after the demise of the Ice Hockey Superleague which went into liquidation in April 2003. 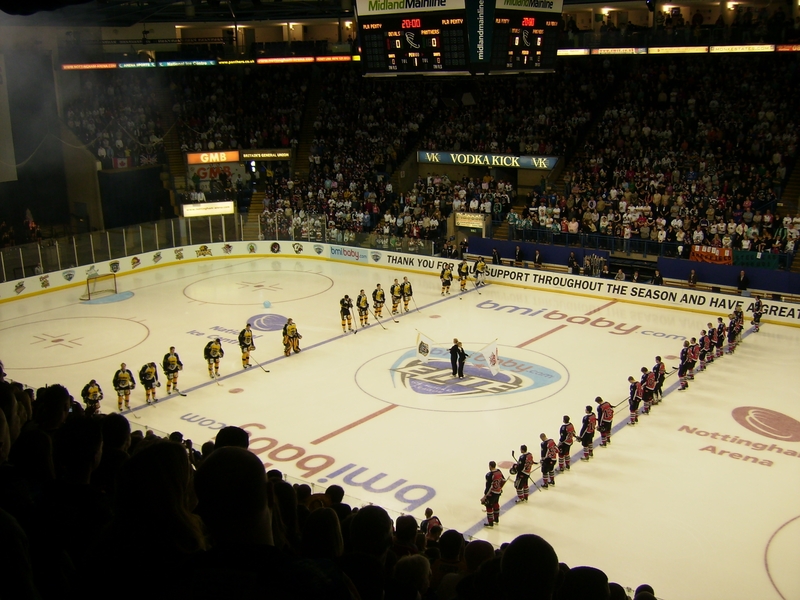 The Elite Ice Hockey League is the highest level of ice hockey played in the United Kingdom. Comprising of 11 teams in England, Ireland, Scotland and Wales competing to be the next champions. Below are all of the teams participating in the EIHL 2018/19 season. The season runs September through to the following March. All 11 teams play each other 6 times, 3 home and 3 away matches, totalling 60 games throughout the season. The league champion is the team who scores the highest number of points over the 60-game season. There are 3 conferences in the EIHL. The winning team in each conference is presented with a trophy related to their conference. Belfast Giants - Cardiff Devils - Nottingham Panthers - Sheffield Steelers. The winners of the Erhardt Conference are awarded the Erhardt Trophy. This is named after Carl Erhardt, the captain who led GBR to win gold in the 1936 winter Olympics. Dundee Stars - Fife Flyers - Glasgow Clan. The winners of the Gardiner Conference receive the Gardiner trophy. This is named after Charlie Gardiner, the Scottish captain who led the Chicago Blackhawks to the 1934 Stanley Cup. Coventry Blaze - Guildford Flames - Manchester Storm - Milton Keynes Lightning. The winners of the Patton Conference win the Patton trophy. This is named after Peter Patton, who helped bring Ice hockey to the UK and spread it throughout Europe. Every team plays 1 home and 1 away game against every other player in their group. After the qualification games are played, the teams are ranked 1 - 11 in order of their performance. You may notice that groups B and C have an extra team in each group. In the qualification stage, the lowest ranked team from group B and C is automatically knocked out of the competition. The remaining teams are ranked 1 - 9 according to their total points and the 9th place team does not progress to the next stage. The winning semi-finalists have proved their worth to battle for the Challenge Cup. They play head to head in a standalone game for the title of Challenge Cup Champions. This year's Challenge Cup Final Will be held at the Ice Arena Wales, Cardiff on the 10th of March 2018. The Elite League Playoff Competition is sponsored by Predictorbet. The teams placed 1st - 8th place at the end of the regular season qualify for entry into the playoffs. They compete to become the champion of the Predictorbet Playoffs. The playoffs are another series of two-legged aggregate score competitions. The seedings for the game are based on the final league standings at the end of the regular season. The team ranked 1st place plays the team ranked 8th place, the team ranked 2nd place plays the team ranked 7th place and so on… The highest rated team of the pairs chooses which game they want to play at home, and which will be played away. This season's finals are taking place April 13th 2019 to April 14th 2019 at the Motorpoint Arena in Nottingham. The Semi-Finals will be held on that Saturday and the Grand Final & 3rd place match will be held on that Sunday. Playoff Finals Weekend games are all standalone games. The winners of the Semi-Finals progress on to the Grand Final to battle for 1st place in the tournament. Below are all the winners of the playoffs since its first event in 2003. The team with the highest number of points over the whole season are the champions of the EIHL, they are selected to represent the EIHL in the Champions Hockey League. The winners of the playoff are chosen to represent the EIHL in the IIHF Continental Cup. Thanks for reading… The Elie Ice Hockey League is an intense, high-octane competition. Thousands of fans and aspiring hockey players are absorbed in the game each year. 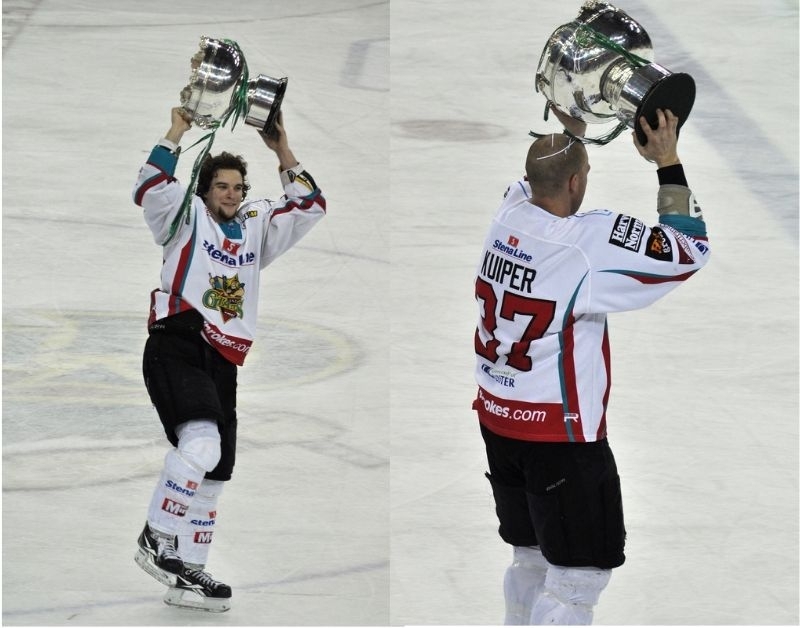 At Jackson Trophies, we have a great range of Ice hockey trophies. Click here to see all our trophies for celebrating success in the rink.